A shaver saves a men’s look! But, I know that men we are a creature of habits, which we will stick with a specific brand we feel good year after year without thinking of trying something new. I’m not saying that your current shaver is not good, but might you find a better one from switching. So why don’t we give it a whirl? 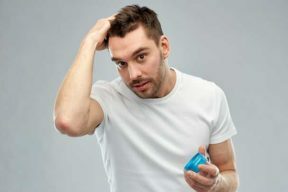 In this article, I will share my best shaver for men collection to all of you guys and by the way, a guide on how to choose the most suitable (in case you are new). Read on! Actually, it’s not difficult at all. You just bear on mind some basic features when choosing. Modern shavers come in two main types: rotary and foil. Basically, they all have the same fundamental way of work. But each will be suitable for specific skin and type of hair. About the foil, it is actually a shaver with some cutting blades covered by a thin curved metal foil. When working, it will move back and forth as well as straight over your neck and face. By moving side to side, hair will enter the holes in the foil and be cut. This type is suitable for those who have sensitive and dedicate skin or usually feel harsh because of razor burn. In terms of good brands for foil shavers, Panasonic and Braun are the best. About the rotary shavers, there are rotating cutter under three round heads. An advantage of this type is that it will move along your face and don’t leave any razor burn feeling. Thus, for those men who have medium to coarse beard density and their skin type is from normal to tough, this is a go-to shaver. Talking about rotary shavers, I recommend Remington and Philips. There are three major power sources including main, recharge and battery. To pick the most suitable, you should know which purpose you intend to use. I mean when you and where you use it. For example, if you buy to use it during a vacation or a trip, a battery or recharge is ideal. On the contrary, if it’s for daily use, a main is perfect as you don’t need remove and bring it to anywhere. 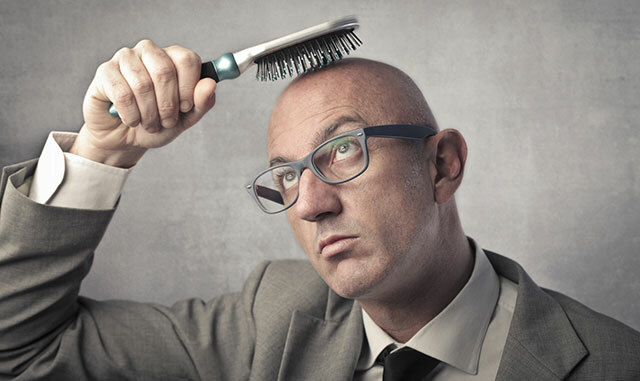 Some shavers are particularly used while hair get some moisture on while some just don’t. 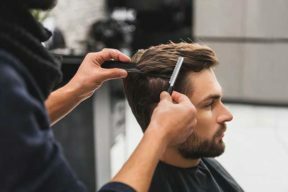 However, on modern days, there are many brands offer versatile shavers, which means they can be used in wet and dry condition. But the biggest advantage of dry-shaving integration is that you can shave anytime at anywhere when in need. So, when choosing a shaver, I recommend you to choose a wet and dry for the most convenience. 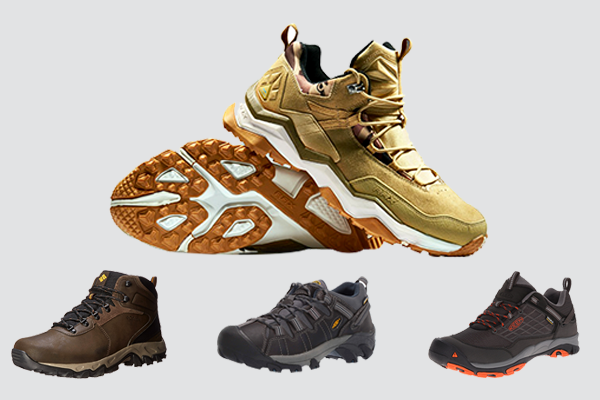 There are many brands specialized in mens tools with many year experience and already earned customer trust. However, this is not saying that you just pick among well-known brands like Philips, Remington, Panasonics, etc., there are still new ones coming in good quality and functions, which I will give you in the next section. Price range of mens shavers are huge and in the next section of electric shaver reviews, I will also include this feature. Price is not an essential factor to decide whether a shaver is good or bad. 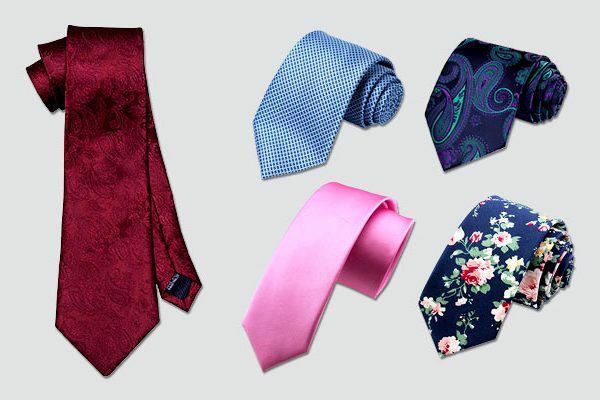 Thus, I advise you to have a look through all products recommended to have a clear visual and combination. As I said above, Philips is well-known for rotary shavers with high quality and reasonable price. Besides, it is rechargeable so that you can use both on the moves or at home. Come in a size of 3.5 x 5 x 9.6 inches, weigh 13.6 ounces, it is quite lightweight to bring around, as well. Besides, big thanks for 4-direction Flex Heads and advanced cut blade system, the shaver moves smoothly on every curve of the face and neck. If you are new to this type of shaver, don’t fret, it’s safe, convenient and quite easy to use. Furthermore, after shaving, just one touch to open it and quickly rinse all hair off. If your budget is not tight, invest for this version of Philip’s shaver. It is worth what you pay for. 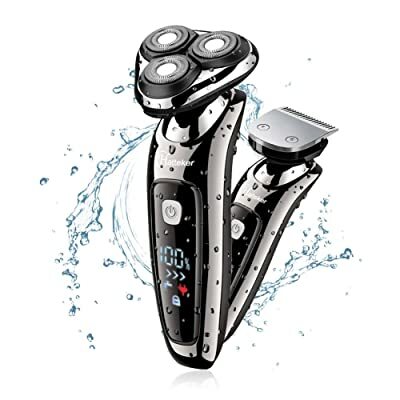 Overcome the blemish of the previous, Philips Norelco Shaver 4500 is equipped with dual precision heads to offer closer shave and even more exact. Besides, it beats well both short and long hair. If you usually get it hard to shave the sideburns or moustache, go for this Philips, as well thanks to the pop-up trimmer. On the other hand, you can use it on both wet and dry condition based on personal preference or skin type. To do wet shave, just apply some foam or gel on the skin area for the most convenience as well as skin protection. This is considered as a perfect gift for friends or family as it’s valuable and convenient. For those who are looking for a versatile shaver, Micro Touch’s is shaver to go. It is a great combination of edger, trimmer and shaver. It also has pivoting head and LED light to provide an ultimate precision. 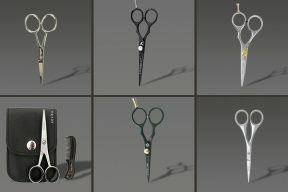 In terms of trimmer, there are three combs (1 millimeter, 3 millimeters and 5 millimeters) to change based on particular need and requirement. Besides, as this is a foil shaver, the manufacturer enclosed a cleaning brush, very thoughtful. Here is where the real fun begins: the lithium-ion battery which can last up to 45 minutes after fully charged. The blade is made of stainless steel for easy cutting. Additionally, contoured head pivots helps to move smoothly and flexibly along every curve of face and neck. 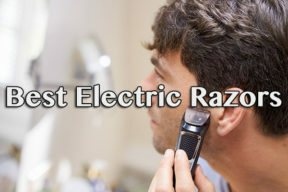 The very first foil shaver coming from Braun in this collection of best men’s electric shaver. And this is the most expensive. However, it’s worth a try. Don’t use round circulate heads like Philips, Braun shaver use ActiveLift trimmer combining with 2X OptiFoil to give a close cut. 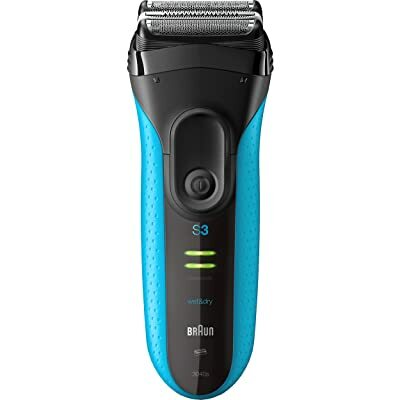 If your current shaver can’t do its job with hair under your chin and neck, go for this Braun, they can cut even 0.05mm short hair with perfect finish. Besides, by using smart Sonic technology, the power will be automatically increased when the shaver meets any hard surface or denser hair. Don’t worry about how to clean it. When the shaving is done, just put it in the enclosed Clean and Charge station, touch the button and it will be rinsed and hygiene completely. However, the real fun is that Braun shaver also allows us to tailor our shave to fit each particular facial feature with 5 different modes. At my point of view, though Braun Series 7 790cc Shaver is expensive, it is the best electric shaver I have ever used. The second Braun Shaver I would like to recommend to you is the Series 3 ProSkin 3040s Wet&Dry Electric Shaver. Right from its name, we can identity the very first advantage is that it can be used both in wet and dry condition, whether you have plenty of time or in a hurry, from sensitive to rough skin, it all works well. With wet shave, you can combine with water, gel or foam due to personal preference. 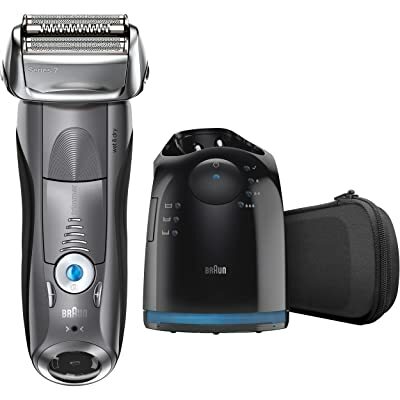 This Braun shaver uses 2 rechargeable batteries with lifelong so you can use it with no fear of it suddenly running out. If you have sensitive skin, this one is my recommendation as it integrates 3 pressure-sensitive shaving elements to save your skin against hash, razor burn and rash. The highlight is its Specialized Micro Comb to increase the ability to catch and cut more hair in every stroke. Quite different from those shavers above, Remington’s power source is a combination of recharge and main with cordless/corded use modes. 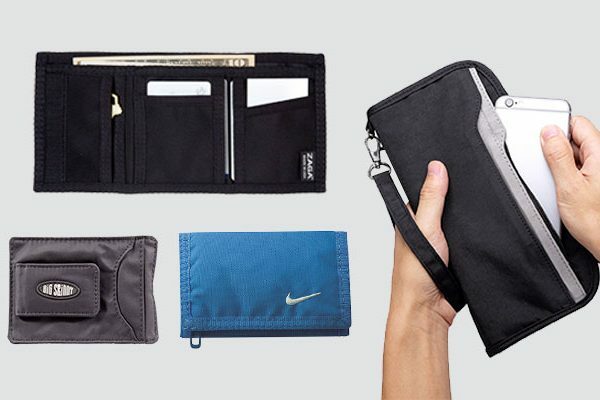 Besides, its measurement is only 3.4 x 5 x 9.1 inches, you can easily bring it along during your vacation or trip. I myself think Remington shaver is excellent as they overcome all common blemishes like long time charging, short time lasting. Though it takes even two hours to full charge the product, the manufacturer thoughtfully provides a function of a 5-minute quick charge so that when it’s run out, just quickly charge it and continue your shave. 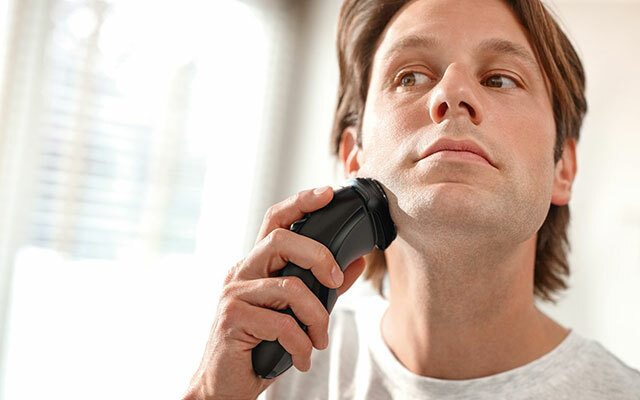 When in cordless use, this shaver can work up to 60 minutes, quite great and convenient. Besides, it is easy to rinse and cleanse, as well. Equipped Pivot and Flex, you can adjust its head to easily and closely contact the most difficult skin areas like neck, chin and jawline. This is the very first white shaver in my collection for elegant and sleek look. 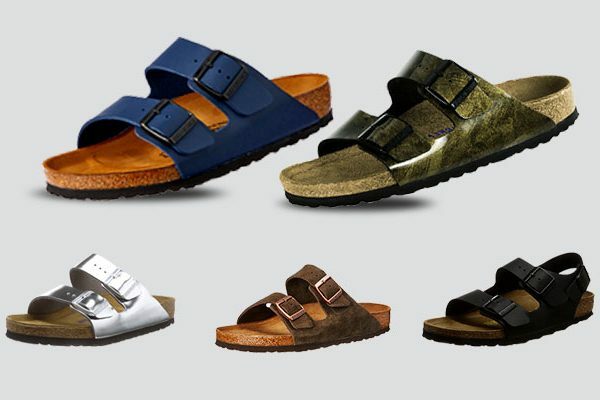 Andis is a new brand but its quality is wow. By using profoil way to shave hair, it is ideal to remove stubble and finish fades to have an ultra-close smooth shave. Besides, these foil heads are staggered with hypo-allergenic to give precise cut. A plus is its lithium ion battery with great capacity. It can last up to 80 minutes before being charged. 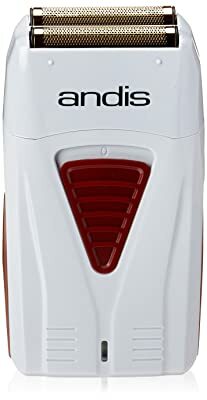 Moreover, with Andis shaver, you won’t stop your shave suddenly anymore thanks to the cord/cordless operation. Another versatile razor for those who would like to have a shaver for both beard and sideburns. Let’s look more deeply at its features here, going inside out. Firstly, this Hatterker is like Braun Series 3 ProSkin Shaver with the ability to do the job in both wet and dry conditions. 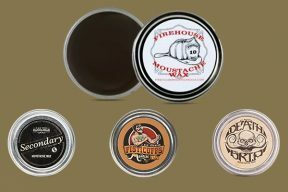 It has washable body to dry shave comfortably as well as conveniently do the wet shave combining with gel or cream. But the fun is that it enables to display the percent of battery and some other modes like being charged, low battery, cleaning indicator, etc. You can bring it on the moves with no fear of it being run out all of a sudden thanks to the USB Quick-Charge/Cordless feature. Besides, its battery is really powerful and long lasting so that you can bring it during a trip as well. Using 3D rotary mode like Philips, the blade and heads of the shaver can move precisely and smoothly along curves of your face, offering nice cutting and fine finish. 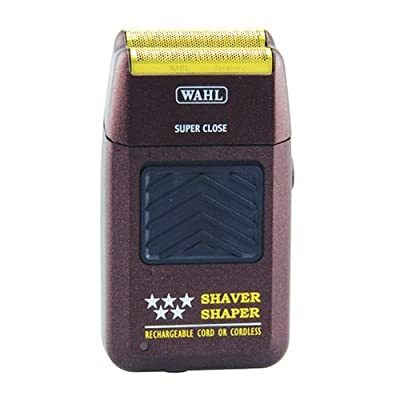 If you prefer a heavy shaver, go for this Wahl Professional. It weighs up to 8 ounces and the measurement is 2.5 x 1.2 x 5 inches, very compact and handy. This is a foil shaver, using coated hypoallergenic heads to ensure that you won’t suffer any irritation or allergy while using the product. In terms of power source, Wahl Professional 8061-100 shaver uses cord/cordless operation so you can easily charge it when in need or otherwise, just remove the cord. But my most favorite is how it stay closely to my chin and other difficult areas when shaving. There is nothing to complaint about its ability to cut off hair. Great! I also heard that I would replace its foil over time. But I myself think it just happens if you use it every single day. Thus, I think this is the best option for those who just use shaver for a few times per week. 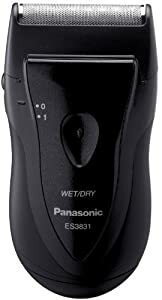 The difference between Panasonic ES3831K Electric Shaver is its power source, instead of using rechargeable battery or cordless/cord operation, it uses two AA-size batteries so you don’t need a charger. Talking about the size, as it is made to benefit travel purpose, the measure is quite small and compact – 2.2 x 4.3 x 6.6 inches with 5.4 ounces, moderately hold in hand and get the job done. 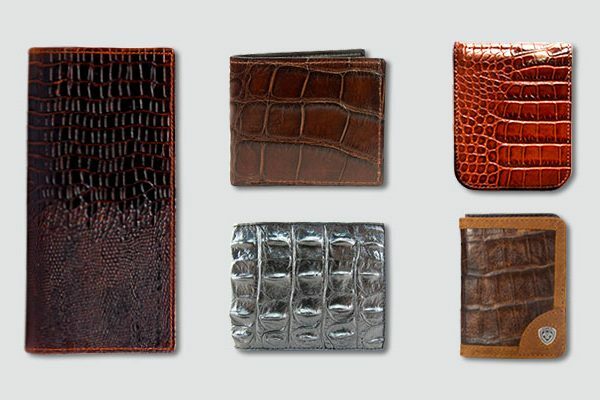 You can place it anywhere in your bags, grooming kits or luggage. Blade material is made of stainless-steel and foil, giving great durability and precisely cutting. Additionally, there is a sturdy motor to shave comfortably and quickly, as well. Last but not least, this is a wet and dry shaver. 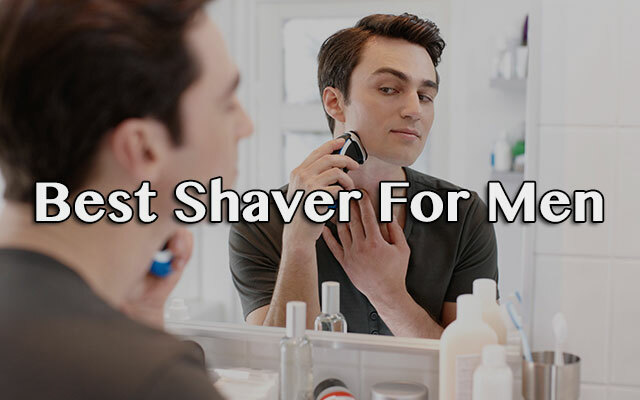 Here is the end of my guide on how to choose the best shaver for men. Hope that through this article, you have earned some more knowledge and consultants to pick the right one.